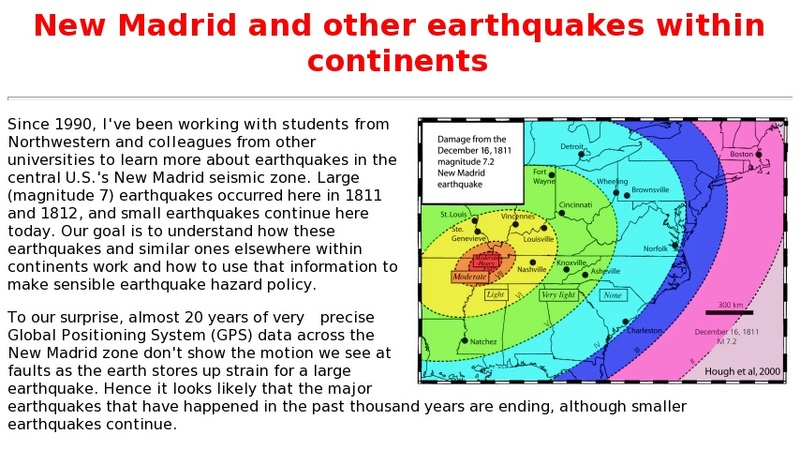 This page offers an model for explaining earthquakes that occur within continents, namely, the New Madrid seismic zone. The model, known as the Booby Trap, is an example of a complex system. A link to a video depicting the model is also provided.